Gretchen Heber is an entrepreneur with more than 15 years of experience in online media. She has also worked with several daily newspapers across the United States, serving as a graphic designer, writer and editor. Perhaps you don't want to spend a lot of money on fancy facial-care products. Maybe you're concerned about the ingredients in commercial products. Perhaps you just need to use up some stuff from your pantry. Whatever the reason, you might find it fun and beneficial to try out a facial remedy made from sugar, honey and lime juice. Each of these natural ingredients offers benefits to your skin. 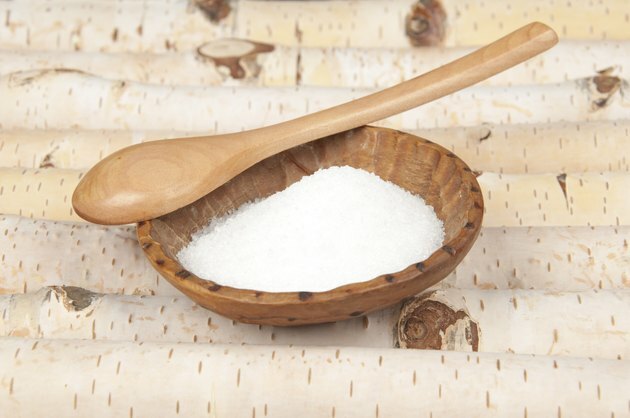 Sugar is a popular ingredient in commercial skin products for a number of reasons. Sugar is a humectant, meaning it draws moisture to your skin from the environment, says Lather founder Emilie Davidson Hoyt. Sugar contains glycolic acid, an alpha-hydroxy acid that helps condition and moisturize skin and protect it from toxins. Additionally, sugar's small particles make an excellent exfoliant, scrubbing away dead surface skin cells and revealing fresh, healthy-looking skin underneath. Honey is another humectant. The sweet nectar offers antibacterial and antimicrobial properties that are useful in fighting acne. Honey has natural antioxidant effects, which can protect the skin from ultraviolet damage. Honey's viscosity will pull away impurities from the skin and help skin heal. Finally, the bees' sweet nectar offers anti-inflammatory properties that reduce fluid retention under the skin and minimize scarring, according to Science Daily. Limes have astringent qualities, which can cause temporary tightening of muscles. When you apply lime juice to your skin, pores are made smaller and skin appears smoother. This can improve the appearance of your complexion. OrganicsFacts.net reports that lime juice contains vitamin C and flavonoids, which have antioxidant, antibiotic and disinfectant agents. The citric acid found in limes helps remove dead skin from your face, which is important to keeping your face clean and acne-free. To make a sugar, honey and lime scrub, put 1 tablespoon of brown or white sugar into a small bowl. Mix in 1/4 teaspoon lime juice, then thoroughly mix in 1 teaspoon of honey. Gently apply the scrub to your facial skin, moving your fingers in small circles. Rinse your face with lukewarm water and carefully pat dry. Some people have an undesirable reaction to new things applied to the face, so test a small area of skin elsewhere on your body before you go all out with your new face mask.